Prayagraj (Uttar Pradesh), [India], Feb 6 (ANI): In the magnificent Kumbh Mela, the members of the 'Save Sharada Committee Kashmir' have been pushing forward their demand of starting a pilgrimage for Kashmiri Pandits to Sharada Peeth, which is situated in Pakistan occupied Kashmir (PoK). Founder of the 'Save Sharada Committee Kashmir', Ravinder Pandit told ANI here: "Since ancient Sharada is located in PoK, we are urging to the Indian and Pakistan government to permit visas to pilgrims who want to visit there. Sharada Peeth is an ancient religious place, which had the oldest study centre and it had its own language and culture." Ravinder further said that the Government of India has a written to the Pakistan government regarding the same. "All the prominent priests have urged the PoK authorities and we have asked them to maintain the infrastructure of the temple," he added. Situated close to the Line of control (LoC), Sharada Peeth is an abandoned temple, which sits in PoK’s Sharda village in the Neelum Valley. After the partition of India, the sacred site remained at the other side of the Indian border and went far away from the reach of Indian pilgrims. Notably, Kashmiri Pandits consider Sharada Peeth as an important site because it's said to be an abode of Lord Shiva. In 2018, after the Pakistan government opened the Kartarpur Corridor to allow Indian Sikh pilgrims to visit the Gurdwara Darbar Sahib Kartarpur across the border. This has encouraged the Kashmiri Pandits to take a call of opening a corridor to Sharada Peeth site. 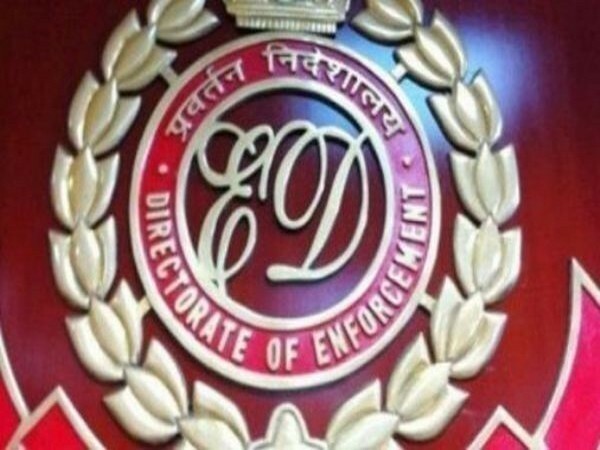 New Delhi (India) Apr 18 (ANI): The Delhi Police on Thursday launched two new helpline numbers 155270 and 155271, for prevention of mob violence and noise pollution, respectively. 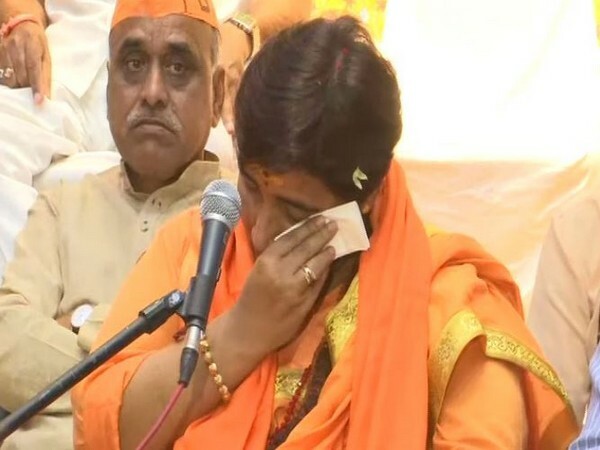 Bhopal (Madhya Pradesh)[India], Apr 18 (ANI): Malegaon blast accused Sadhvi Pragya Singh Thakur on Thursday broke down while recalling the 'torture' she faced in the custody of law enforcing agencies. 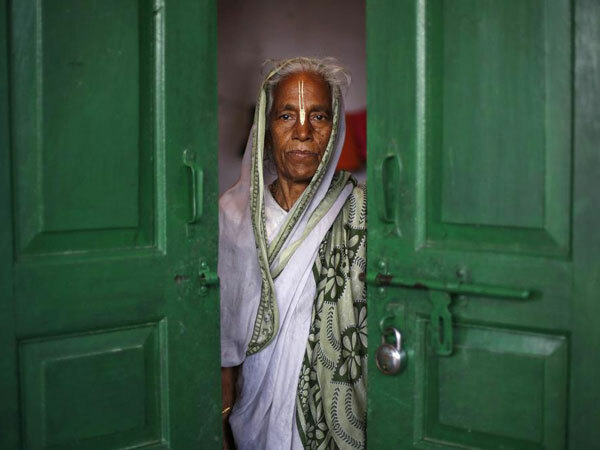 Vrindavan (Uttar Pradesh) [India], Apr 18 (ANI): Hundreds of widows in Vrindavan town of Mathura district on Thursday voted in the second phase of Lok Sabha elections. 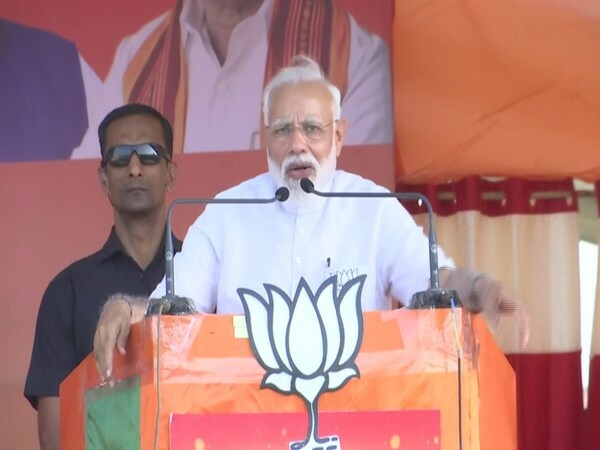 Thiruvanthapuram (Kerala) [India], Apr 18 (ANI): Prime Minister Narendra Modi on Thursday hit out at Congress president Rahul Gandhi's decision to contest from Wayanad stating it was "appeasement politics". 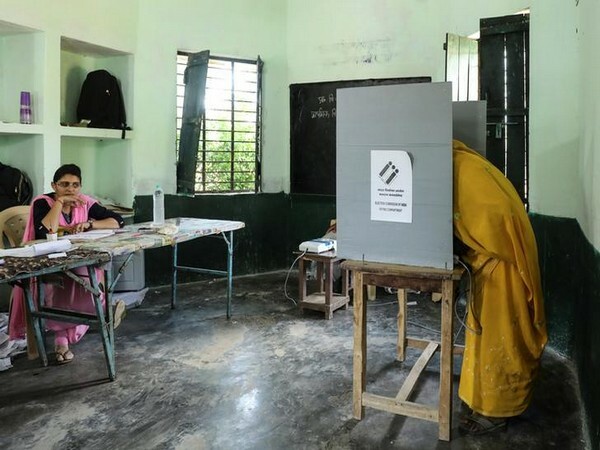 New Delhi [India], Apr 18 (ANI): The second phase of ongoing Lok Sabha election ended peacefully on Thursday with West Bengal, Assam and Puducherry recording over 76 per cent voter turnout, the Election Commission of India (ECI) said. 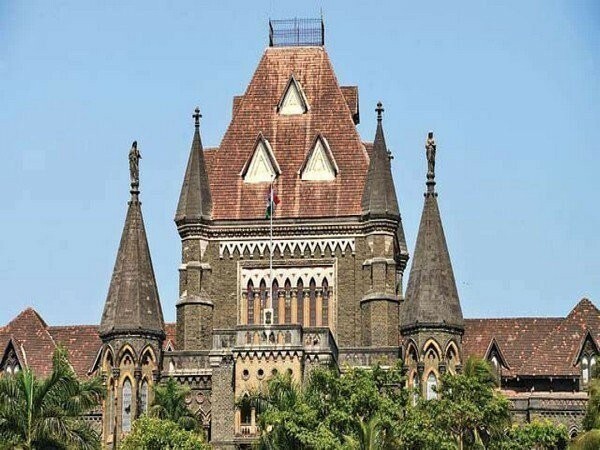 Mumbai (Maharashtra)[India], Apr 18 (ANI): Rubabuddin Sheikh on Thursday approached the Bombay High Court challenging the Special CBI court's order acquitting all 22 accused in the killing of his brother Sohrabuddin Sheikh in an alleged fake encounter. 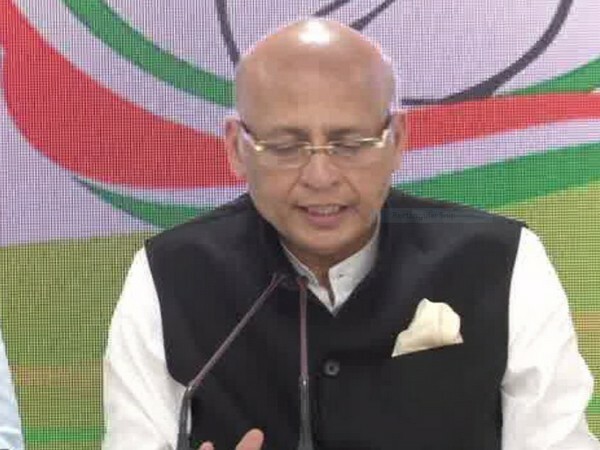 Khowai (Tripura) [India], Apr 18 (ANI): Tripura Congress President Pradyot Kishore Deb Burman on Thursday slapped a man inside Khowai police station in the state as captured in the CCTV camera footage. 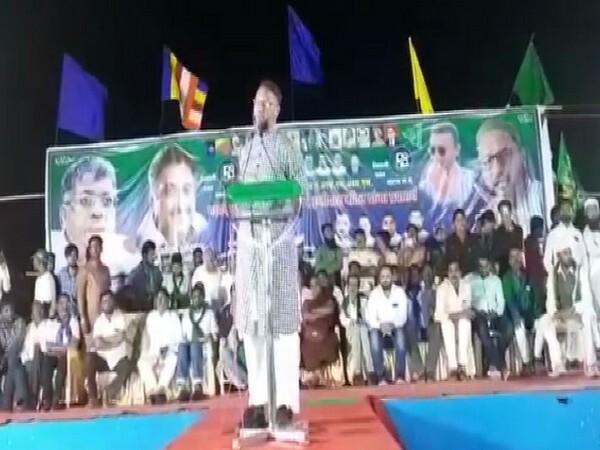 Chikodi (Karnataka) [India], Apr 18 (ANI): Prime Minister Narendra Modi on Thursday said the development of a few families, middlemen, and inflation took place when the Congress party was in power at the Centre. 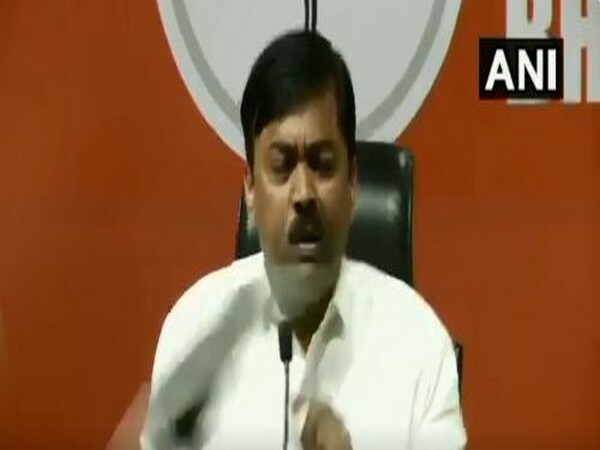 New Delhi [India], Apr 18 (ANI): Delhi Police on Thursday said that the man who hurled a shoe at Bharatiya Janata Party (BJP) MP and spokesperson GVL Narasimha Rao at a press conference earlier on Thursday was let off after an interrogation.